Kickboxing is a great way to get in shape, relieve some stress, and have an all-around good time in a competitive environment. Time Magazine even called it one of the best cardio workouts for total body toning and conditioning. 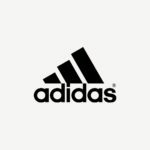 Footwork is a big part of the game, so you need a shoe that grips the ground, keeps your foot comfortable, and has support for your side-to-side movements. Consider these best shoes for kickboxing as you gear up for your next fight. 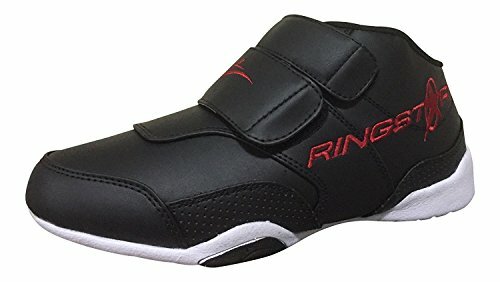 These shoes have a mid-top height that is perfect for providing the ankle support you need to prevent injuries in the ring. The upper is constructed of synthetic and leather materials to maximize durability. The mesh pockets on the upper increase breathability so your foot does not overheat. 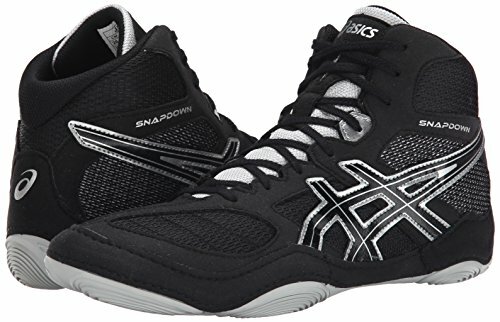 A full-length rubber material runs the full length of the outsole of the ASICS Men’s Snapdown Wrestling Shoe, ensuring you have grip from any angle. The shoe features Serradial traction pods that increase flexibility and creates pivot points to make quick turns effortless. The outsole is thick, which lets it absorb impact when you jump so you don’t end the match with sore feet. The shoe is designed to have a narrower fit at first, but they conform to the shape of your foot and provide the flexibility you need in kickboxing shoes after a few wears. They are also good for lateral movements. This wrestling-style shoe does not offer the same cushioning in the toe box that kickboxing shoes may have, but you can purchase special kickboxing socks to supplement. They have a slight break-in period, so they may be tight the first few wears. The toe box can also be too small for some people. Even though the shoe is offered in a wide width, the wide width may not be enough to accommodate some feet. This is another mid-top style shoe with good ankle support. It has an upper constructed of synthetic leather and mesh. There are key points on the shoe that have suede overlays, which provide lateral support and increase durability. The mesh increases breathability and flexibility. The upper is also soft right out of the box, so there is no break-in period. 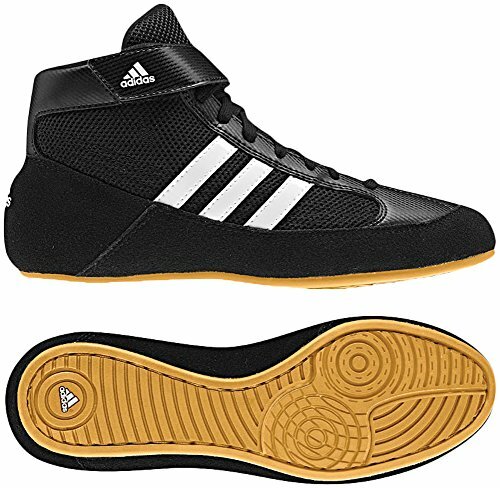 Though the outsole of theAdidas Men’s Boy’s HVC2 Wrestling Mat Shoe with Ankle Strap is gummy, it has pivot points that you can train your foot to use while you are in the ring. The grip stretches the full length of the shoe. Across the top of the shoe, an ankle strap increases lockdown, so the shoe moves with your foot. The elastic of the strap gives you security, without affecting how you can move your foot. These kickboxing shoes have a solid build and feel lightweight but durable. They are tight at first but stretch quickly once they are on your foot. The shoes also have nice laces, which hold fast through the duration of your match. 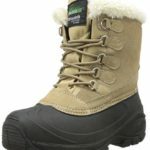 One of the major downsides of this shoe is the sole, which does not have a lot of support. However, the insole is glued in and easily removed, so you can add customized comfort and support if you would like. Additionally, you will need to wear special kickboxing socks with these because they lack padding to keep your foot protected during kicks. 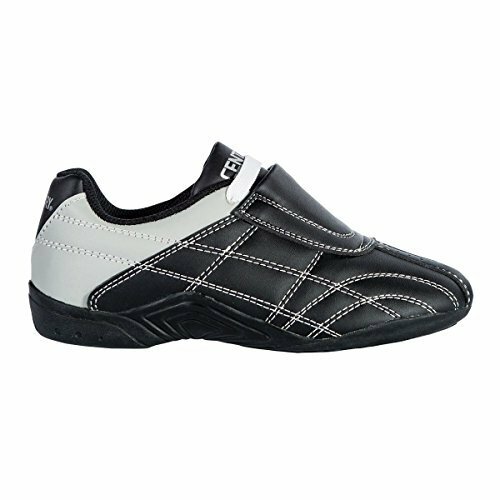 This sparring shoe is ideal for the male kickboxer who doesn’t want to struggle to get their shoe on and off. 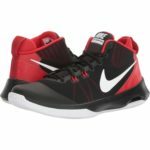 It is a low-style shoe, though the extra padding lets it provide the ankle support you need. A hook-and-loop closure holds fast and makes putting your shoes on and adjusting them to fit a breeze. Inside the Ringstar Fight Pro Martial Arts Sparring Shoe, the ultra-soft sole keeps the shoe lightweight and comfortable. It has an Advantage Ankle Protector that wraps your ankle with support and added inner-ankle protection. It also has extra padding in key areas like the tongue, flap, and toe box that absorbs your kicks on impact. The padding makes it great for training, kicking bags, and sparring with other kickboxers. The outsole is non-marking and made of a soft material that grips while remaining incredibly lightweight and flexible. It also absorbs shock well, transporting the energy through your shoe and keeping you quick on your feet. This shoe also works well to provide you with support through pivoting movements. The sole of the shoe can be a little stiff out of the box and requires a little time to break in and become soft and flexible. They are also a little on the tight side, despite the hook-and-closure opening. They will stretch to fit over time, but you have to get your foot in the shoe to begin with. Though this shoe is marketed for cross-training, they provide the incredible stability that you need while kickboxing. If you try to roll your foot from side-to-side in the shoe, you will notice that it is hard to do. This is the lateral support and the TPU shank running through the shoe that increases stability, which makes it a great choice for people who overpronate and those who want to avoid rolling their feet during sports like kickboxing. Inside the PUMA Women’s Tazon 6 Cross-Trainer Shoe, there is all-around padding and an EcoOrthoLite sock liner that adds comfort and improves fit, without being restrictive or decreasing breathability. Though it is low-top style, the shoe has adequate ankle support. It has just enough padding to keep your foot protected when you kick, but not so much that the shoe is heavy. This shoe may run small if you were running or doing fitness, but they are true-to-size for kickboxing. After wearing them, the shoe will stretch and hug your foot as you train or fight. They also have great arch support and will absorb impact well because of the thick rubber outsole, which is important for kickboxing. 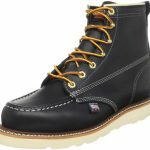 These shoes may look large and bulky once on your feet, but they do not feel bulky once you put them on and the build is incredibly lightweight. There is also a lengthy break-in period, usually several training sessions over the period of a week. If you don’t want to be off your game, wear them for training before you wear them in a kickboxing match. This shoe brings together a synthetic leather upper and rubber soles with pivot point. The upper features a pliable design, which adds to the overall flexibility of the shoe. The upper is also thick and padded, which will reduce the amount of impact that you feel when your feet come into contact with your opponent. Additionally, breathability holes in the top stop your shoe from becoming too hot. The rubber outsole of the Century Lightfoot Martial Arts Shoe is designed to be flexible. The pivot points give you a stable point for quick turnaround and movements. It also has a grippy design that will stop you from sliding around when in the ring, which is important for maintaining your balance. This shoe also has great durability, especially in the upper that takes a beating when you are kickboxing. The rigidity of the shoe gives the lateral support that you need. All the features lend to fast, smooth movements that will give you the competitive edge that you need to land a win. Even though these shoes are designed with pivot points, they are not a good choice for beginners learning to pivot. The stickiness of the shoe requires you to remain light on your feet as you pivot, which can be difficult for beginners. They also run large and may become loose over time if you do not size correctly. 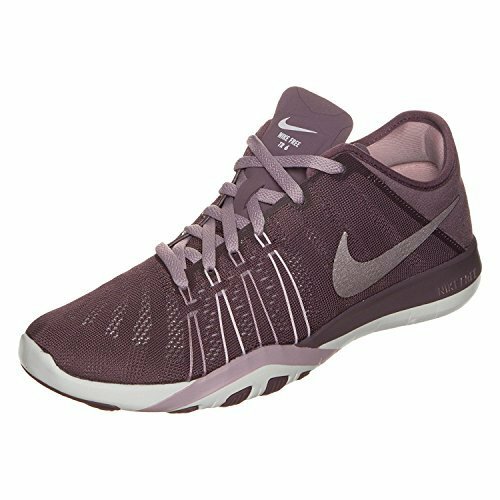 This low-top style shoe provides good ankle and lateral support to stop your foot from rolling over itself while you are training. 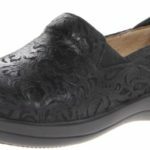 It has an internal strap that is paired with a mesh upper, which increases zonal support where you need it while providing breathability, flexibility, and an overall lightweight shoe. The rubber outsole of the NIKE Women’s In-Season TR6 Cross Training Shoe features pods that increase durability and help you pivot. It absorbs impact and provides an energy transfer when you jump, maximizing your kick. Inside the shoe, there is a dual-density foam midsole that cradles your foot while increasing comfort. There is cushioning around the molded collar, which locks your foot down and conforms to its unique shape. These all add to the comfort of the shoe. It also has great arch support compared to other athletic shoes. This shoe does not offer the same padding the toe area as some of the others. However, there are inserts that you can buy to add cushioning and support to your foot—just be sure to accommodate them as you are choosing the size. Something that female kickboxers should note is that there are not a lot of woman-specific kickboxing shoes on the sporting market. Buying men’s kickboxing shoes are a good alternative, just look for a shoe with a narrower fit if needed to accommodate the shape of your feet. 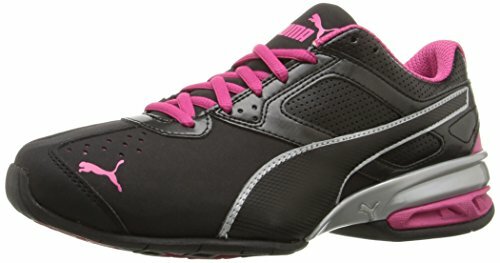 Women’s cross-fit shoes can also be purchased as an alternative. For men who have difficulty finding a kickboxing shoe, wrestling shoes can be used as an alternative. However, you want to choose a wrestling shoe that is not so sticky that it stops you from pivoting as you need to while kickboxing. The right sports gear reflects on your performance. By choosing a shoe for kickboxing that delivers on the support you need for side-to-side movements and fast footwork, you can ensure that the shoe you choose meets demands. The right shoe will also be comfortable enough that you are ready to step back into the ring the next day, instead of nursing your tender feet. Remember that great shoes are just one element of your kickboxing gear. For further reading on the benefits of kickboxing, check out that Time Magazine article.